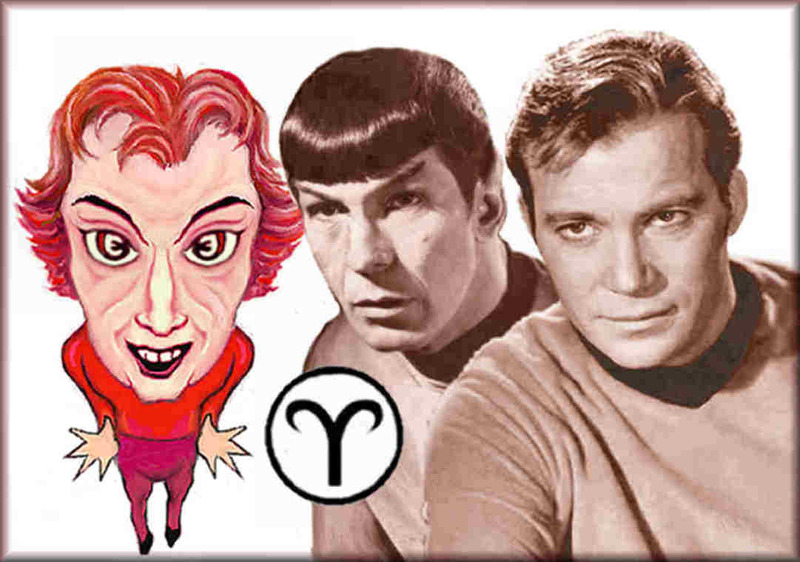 William Shatner and Leonard Nimoy show many of the physical traits of Aries. They are the true pioneers–who took us where no one has gone before! Most Aries have the facial structure of a sheep, that is why the physical traits of Aries resemble those of a Ram. Note how the long face is enhanced by the high eyebrows that sweep the wide-set eyes up and out to the each side of the face . What stands out is the prominent snout that projects to the front. This gives the face a convex shape. Note how the large upper lip plate protrudes outward from the recessed chin. It is the expansive, forward charge of Cardinal Fire that gives these Aries their aggressive personalities. That is why Aries appear to be far more pushy than the other cardinal signs: Cancer, Libra and Capricorn. 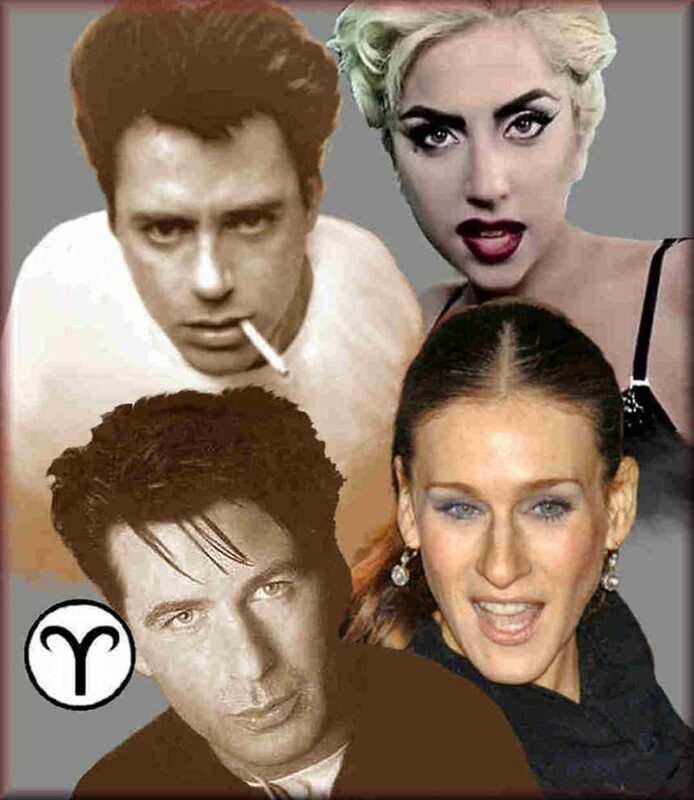 An Aries Rising Sign, Moon Sign and/or a strongly aspected Mars enhances the physical traits of Aries. The driving cardinal fire of the four Aries Sun signs featured in this collection all show the physical traits of Aries, as well as the rambunctious energies of a Ram. All of the subjects here have the long concave face and the prominent snout that suggests the feature of a Ram Note how the head tilts forward, as they “force” their opinions upon some hapless soul. In the process, the brows and eyes push up on the outer edges. to mock the facial structure one would see in a sheep or Ram. These are the physical traits of Aries. Lady Gaga and Sarah Jessica Parker show what happens when these opinionated souls make a point. Watch how the eyes fill with fire when they aggressively challenge any opposition. Robert Downey, Jr. and Alec Baldwin shows the Ram in its moment of gathering strength– just before it charges headfirst into action.